At Fleetwood, it has always been our goal to provide a level of service that is second to none when it comes to Executive Transportation in the Mid-Atlantic region. Business men and women travel without worries and in the utmost comfort. Our skilled drivers have a spotless record of getting our clients to their destinations with time to spare. Let your transportation method be the least of your concerns when you are conducting business in the Mid-Atlantic region. 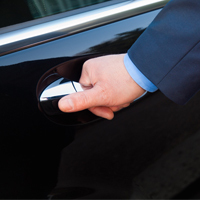 Our fleet of sedans and limousines are kept in showroom condition for your safety and comfort. Fleetwood Metro Transportation is fully insured and licensed. We operate with today's business person in mind. for all of your Executive Transportation needs! When dependability, comfort and style, integrity, flexibility, and competitive rates are just a few of the ingredients you look for in a transportation company, call Fleetwood Metro Limousine and be assured your trip will go as smoothly as the ride! 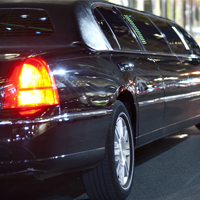 Fleetwood Metro Transportation, LLC, is a private transportation company that prides itself on our years of experience, professional chauffeurs as well as impeccable and prompt service. We offer high-end vehicles and knowledgeable drivers to ensure your arrival at your destination. Based in the Metropolitan Philadelphia area, we have been proudly serving the entire Mid-Atlantic region since 1988! Providing full service executive transportation with safe, clean, and dependable vehicles and expert drivers.